Can cameras fight disablism in the classroom? 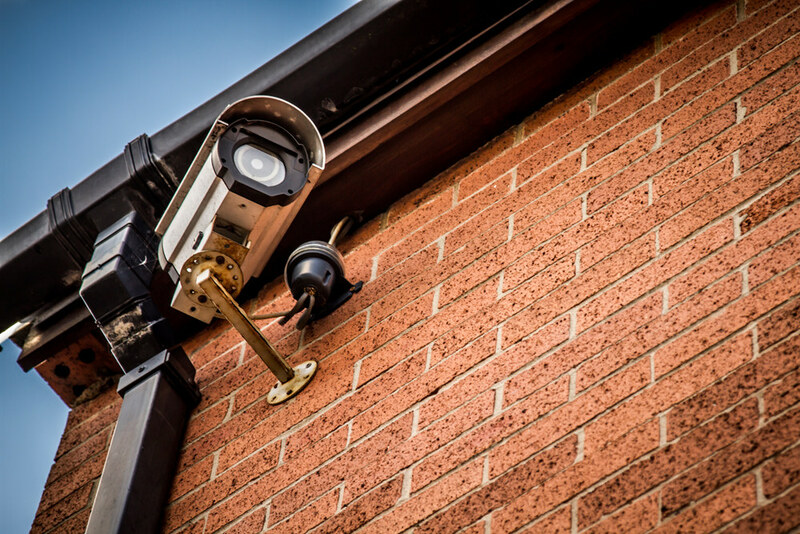 Will security cameras make special ed classrooms safer? Texas has just enacted a law allowing parents and guardians of disabled children to request the installation of cameras in special education* classrooms, keeping an eye on interactions of students and teachers. It’s a law with a lot of complicated facets, and it’s worth exploring the good and bad aspects, as well as the lack of coverage the law has received in the general media, because it was passed to combat a serious issue that few seem willing to talk about. Here’s the thing: Abuse of disabled students, especially those with intellectual, developmental, and cognitive disabilities, is a huge problem in the United States. It’s not just restraint and seclusion at work. Teachers hit students, lock them in cages, force them to eat crayons soaked in hot sauce, and engage in other acts of vicious and wanton cruelty targeting disabled people. This occurs not just in segregated classrooms but also in mixed (‘mainstreamed’) ones. This abuse also takes place at the hands of school resource officers (law enforcement officers), reflecting the growing policing element in school contexts. Perhaps unsurprisingly, disabled students are also the most likely to be suspended, especially if they are students of colour. This law approaches the problem much like body cams for police officers. If people are watching and people engage in violence with the knowledge that someone can review video later, the presence of a watchful camera may prevent or curb violence. It also, of course, provides reference material in the event there is an incident, allowing school officials to see what happened and when, and how the parties involved in the situation interacted with each other. On the surface, yes, cameras can provide all of these functions. But there are some caveats, one of which is if anyone is even watching. Having cameras only works if there’s a realisation that there will be accountability, and when it comes to disabled students, who may be slow to report abuse, it’s possible that teachers and SROs could be behaving inappropriately for days, weeks, or even months without anyone being aware, unless someone is regularly reviewing video for signs of abuse. Schools also have to take complaints seriously and pull up video. That includes reports filed by other students, complaints from students themselves, and concerned reports from parents who have reason to believe abuse is happening in a classroom. If schools take a dismissive attitude or side with the accused party from the beginning, it’s hard to see what good cameras are actually going to do. Police body cameras, we’re learning, have a mysterious and persistent bug of tending to malfunction during use of force incidents, and at no other time. While I’m sure this trend is entirely coincidental and has nothing to do with officer or administrator interference with equipment and/or footage, it does raise an important issue. This footage is only useful if it’s actually being recorded and preserved. If not, the camera is just an empty symbol, assuring the people on the other end that ‘something is being done,’ but not actually holding the wearer (or teacher) responsible — people can act like they always have, knowing that any footage won’t escape into the outside world. There’s also a troubling sense of big brother to this. With police forces, we have public servants performing public duties, and it’s entirely reasonable to require them to film themselves, and for members of the public to film them (as is your right). However, teachers and classrooms are a bit different — there are questions about autonomy and privacy in the classroom that should play a role here, and it’s reasonable to ask if surveillance is going to make students uncomfortable and interfere with learning. Cameras may reveal horrific things about what’s going on inside the classroom, contributing to the growing body of already quite extensive knowledge, but is that going to translate into an actual shift in classroom culture? Because if not, it’s reasonable to ask why schools are using cameras in the first place — it’s like soliciting advice about what to wear and then proceeding exactly as you were before asking for people’s thoughts, a largely ceremonial and perfunctory gesture that doesn’t actually do anything about the underlying question at hand. The issue here is that schools are knowingly tolerating an abusive climate for disabled students. That climate isn’t going to vanish simply because you’re recording it — for meaningful reporting systems, schools need to actually commit to developing an action plan for consistently and promptly handling reports of violence and termination of employment for teachers who cannot be trusted to provide services to disabled students. *I use the term ‘special education’ here because it’s the generally preferred terminology surrounding this legislation. I’m not personally a fan, because the application of ‘special’ to disabled people and disability services acts as a cuteifying euphemism that distances people from the reality of disability and exceptionalises those services. Disabled students deserve an education. Full stop. That’s not special.